The label of the coat will be different from the pictures. 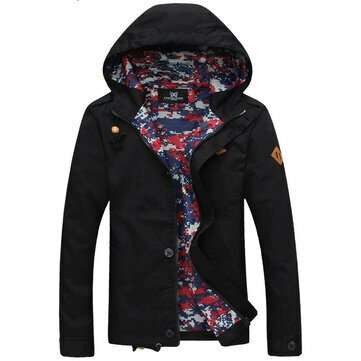 This is a nice jacket/coat although VERY thin and light-weight. The only major problem is that it seems to be a woman's coat and not a men's coat. The fit is more of a woman's fit and the lining from a short distance looks like flowers and not the digital camouflage. Not happy with it, would like to return it but I fear it will cost too much to do so.